Hot-swapping design allows you to remove hard drives without powering off the NAS to ensure continuous operations. 1. All the drives bays of the TS-332X support SSD caching. The TS-332X comes with a 2.5-inch HDD/SSD drive tray base (subject to availability). 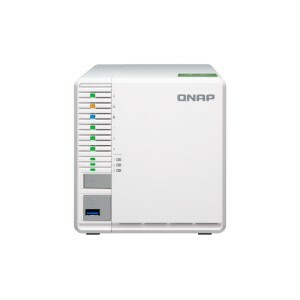 You can purchase additional drive tray bases from the QNAP Online Shop.